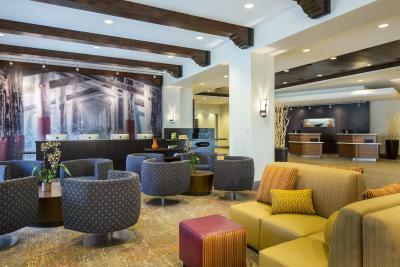 Lock in a great price for Courtyard by Marriott Anaheim Theme Park Entrance – rated 9.3 by recent guests! Everything was great. I loved that people couldn’t just hog the pool chairs because the guards would watch the chairs that had no people for over an hour and remove the towels. Often times people take over the chairs and they aren’t even there so that was very just. I loved that. The bed was very comfy and the vibe quiet yet inviting. Location was Percy to Disney right across the street walk maybe 5 minutes. It was in walking distance from Disneyland. It was nice that they had a shop and a market on the premises. 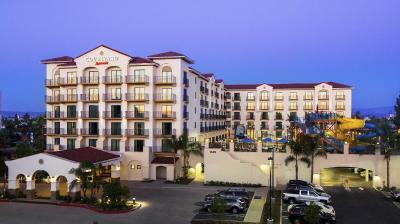 Staff was great, room was spacious and the room was close to Disneyland. Staff was very helpful. Great location for our plans. 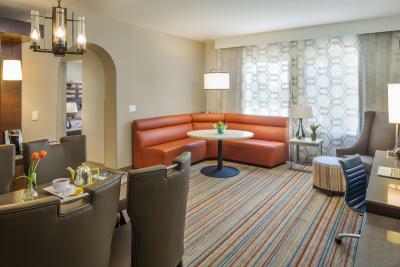 Rooms had plenty of space for family of 5 & Grandma! Waterpark is a major bonus for the children. Perfect experience. We had a great time. Perfect hotel for my family. 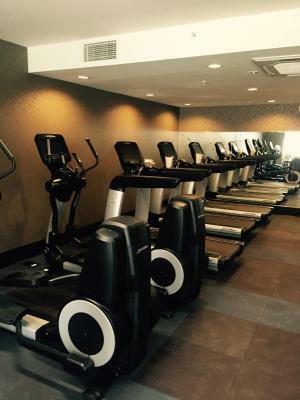 Very clean and the staff and Valet are always very kind. Thank you for another great stay. I like everything about this hotel.. I like that the rooms have bunk beds for the kids.. I like that it has a water park for the kids.. and I like how close it is to the park entrance..! Loved this hotel!!! 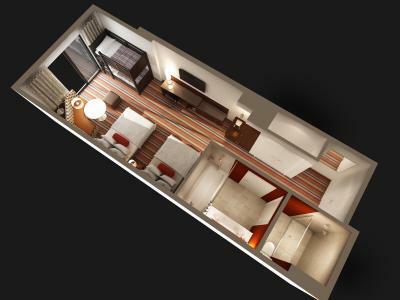 Spacious, well laid out rooms. Microwave, fridge & table for light snacks (short drive to Walmart). Bathroom layout is brilliant for family use. Very clean. Friendly staff. Perfect location to walk to Disneyland. Nice view of fireworks from the 2nd floor pool deck. Arrived at 1:30 and was immediately checked in. Would absolutely stay here again! 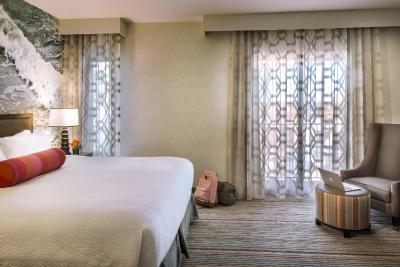 This is a great hotel for the price, right across the street from the entrance to the parks, staff is always accommodating, hotel is clean, we’ve stayed there twice and will continue to do so on our annual Disney trip! Courtyard by Marriott Anaheim Theme Park Entrance This rating is a reflection of how the property compares to the industry standard when it comes to price, facilities and services available. It's based on a self-evaluation by the property. Use this rating to help choose your stay! 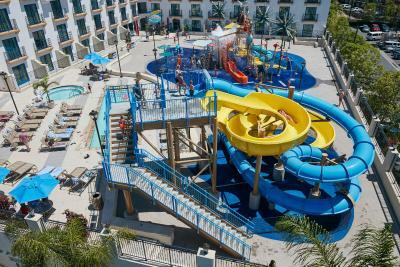 This hotel features 6 waterslides and pools in a private waterpark. Free WiFi is provided in each guest room. The entrance to Disneyland and Disney California Adventure Park is 10 minutes’ walk away. 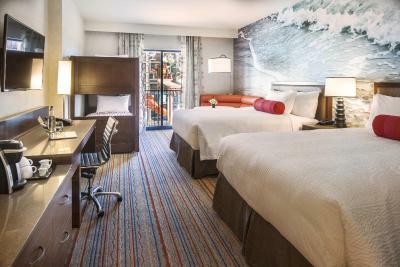 A cable TV with extended satellite channels, a coffee machine, a mini-refrigerator, a microwave and ironing facilities are included in each guest room at Courtyard by Marriott Anaheim Theme Park Entrance. 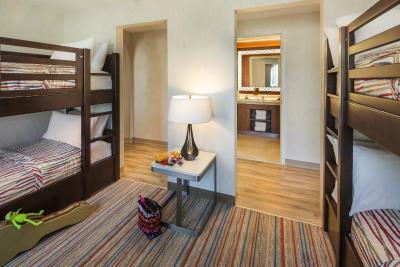 Two showers and twin bunk beds are featured in select family-friendly rooms. 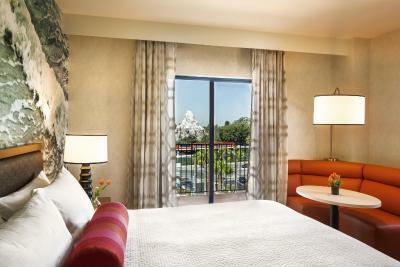 Other select rooms offer Disneyland fireworks or waterpark views. 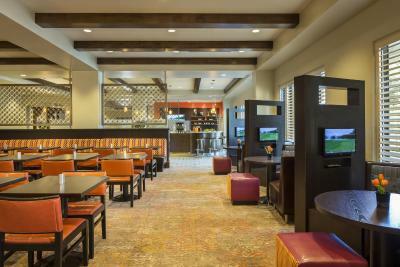 The Bistro serves breakfast, lunch and dinner, as well as a variety of beer and wine options. 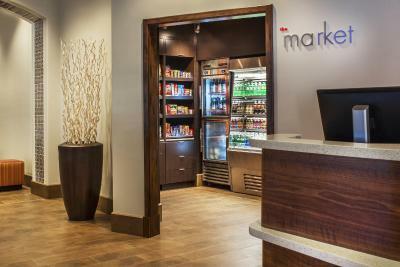 The Market offers 24/7 grab-and-go snacks, beverages and sundries. 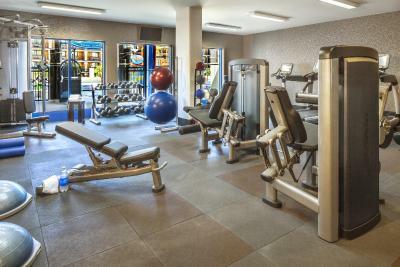 Guests can enjoy a work out in the 24/7 fitness center at the property. 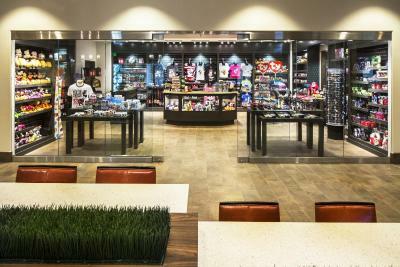 A boutique gift shop is located on site. The Anaheim Convention Center is 0.9 mi away from the property. 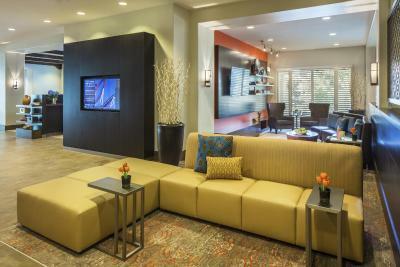 Angel Stadium of Anaheim is 10 minutes’ drive away from Courtyard by Marriott Anaheim Theme Park Entrance. 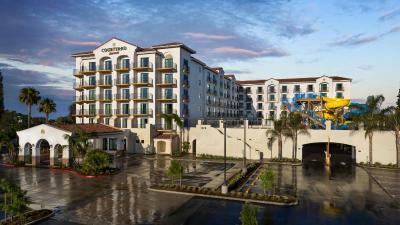 When would you like to stay at Courtyard by Marriott Anaheim Theme Park Entrance? 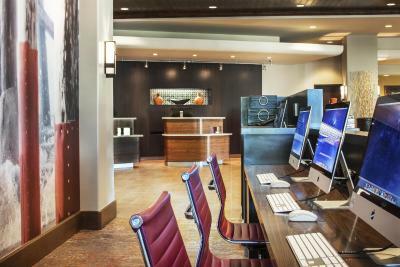 This air-conditioned room features a flat-screen cable TV, a work desk, a sofa and a coffee machine. The private bathroom includes a hairdryer. 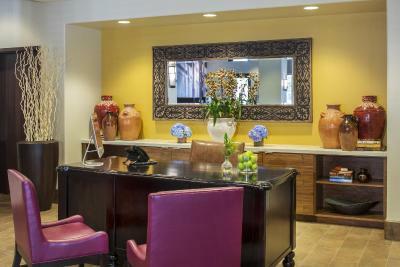 This air-conditioned room features a flat-screen cable TV, a work desk and a coffee machine. The private bathroom includes a hairdryer. 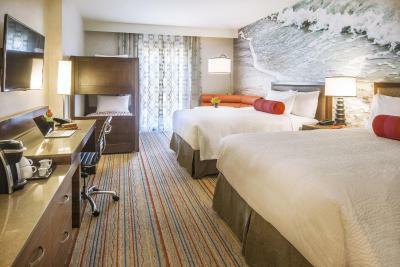 This air-conditioned suite features a flat-screen cable TV, a work desk and a coffee machine. The private bathroom includes a hairdryer. 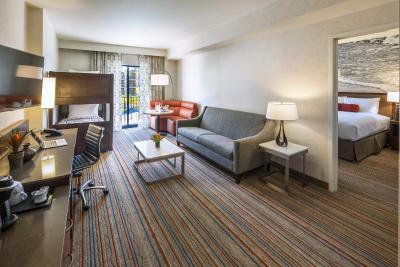 This spacious air-conditioned suite features a flat-screen cable TV, a work desk and a coffee machine. The private bathroom includes a hairdryer. 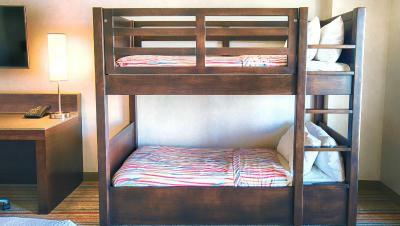 This family friendly room offers twin bunk beds and a balcony. It includes a cable TV with extended satellite channels, a coffee machine, a mini-refrigerator, a microwave and ironing facilities. 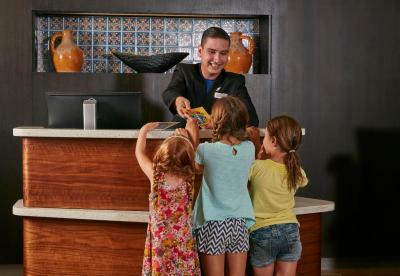 House Rules Courtyard by Marriott Anaheim Theme Park Entrance takes special requests – add in the next step! 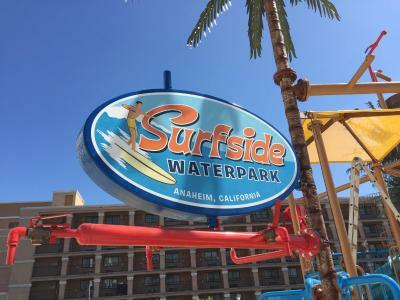 Courtyard by Marriott Anaheim Theme Park Entrance accepts these cards and reserves the right to temporarily hold an amount prior to arrival. Parking is valet only, and ends at 16:00 on day of departure. Paying for parking!!! I think it should be included in the price. The elevators. Definitely not enough and it passed us by twice when we were trying to get to the lobby. Flashing light from smoke detectors kept waking us up. I missed the information on the website that explained an additional charge for parking. 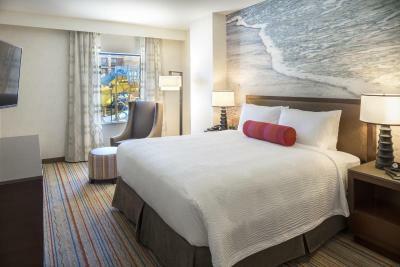 The bed was really comfortable and the layout of the room afforded privacy. 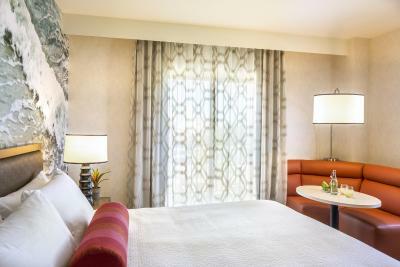 The room was very spacious, the beds were very comfortable. The cleaning service did an excellent job each day. 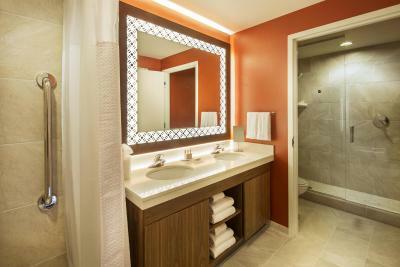 We liked how there were 2 showers in the room, very handy with the kids! !